CONQUEST 250 by S.A.N. 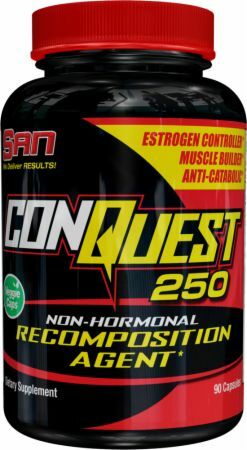 at Bodybuilding.com - Best Prices on CONQUEST 250! FLIP THE INDUSTRY UPSIDE DOWN! Have you had it with gut busting...train till you puke workouts...that leave you lying on the gym floor...practically drowning in your own sweat with little to no visible results to show from it? I mean zilch, nada, nothing! You’ve read every article on training, nutrition and supplements. Even worse, you can recite the ‘Encyclopedia of Muscle’ frontwards, backwards and sideways...yet you’re still tormented that your rate of progress wouldn’t worry a turtle on crutches! Are Your Workouts Eating Your Muscle Alive? 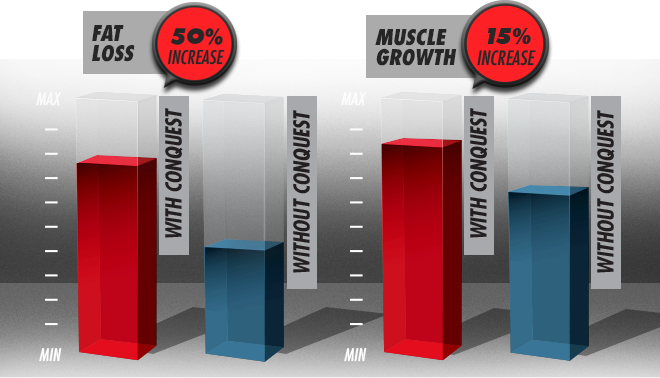 CONQUEST 250 was created for the serious muscle athlete that wants results. Put CONQUEST 250 in your corner. Never go without results again. 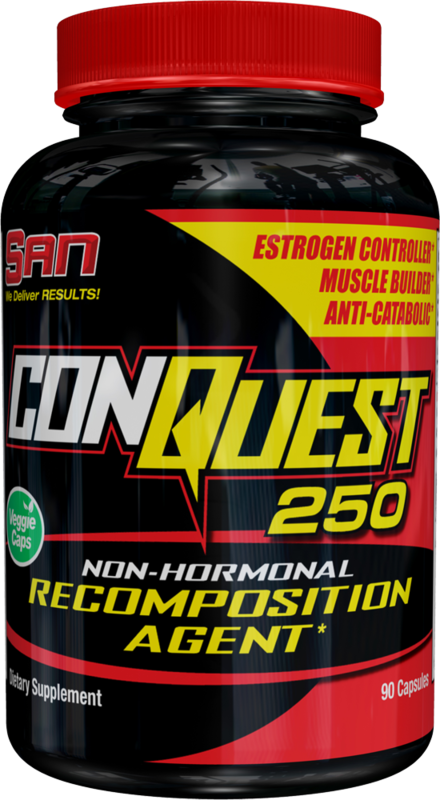 CONQUEST 250 has emerged onto the muscle-building world. It will never be the same. So be prepared to pack on new muscle...torch fat and get stronger. Get your supply of CONQUEST 250 right now! The time is now, the place is here, get CONQUEST 250 and get results! I am a 39 year old man and over the years my energy level have been decreasing. After looking and trying other testosterone boosters and not having results I decided to try something different. I ran across SAN conquest and within the first week of taking them I started feeling a slight increase of energy. Not alot on the first week by slightly. Over the next couple of weeks my energy level started going up. I also noticed bloating in my stomach area going away I started to get deeper sleeps and energy throughout the day. Even my moods were better. After completing the first bottle I noticed a pump in my work outs as well. 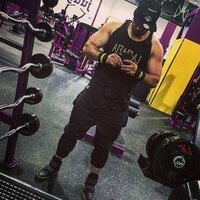 My arms/shoulder/chest/back were getting more definition. Now, im not saying this is a miracle pill but with the combination of a better diet with the combination of a 5 day work out routine I have gotten more out of this pill than what i did before. I take this and estrodex (SAN) together and it has lowered my estrogen after having blood tests to be sure. Sorry for my bad English. I really liked the product. ME helped a lot in setting and strength gain. I recommend. Greetings from Brazil. Have been taking this for the last few weeks. Had to cut back a little on my physical activity because of a a pulled hamstring and adductor. And this not only leaned me out somewhat but helped my digestion as well since I keep being absentminded about my probiotics. 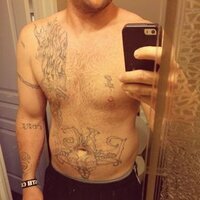 Weight did not fluctuate as much but I did have some vascularity and improvement in definition. And since my sleep schedule is crap because of my rotating shift work, it also for some reason helps with my energy levels. I took it solo at nine caps a day instead of six. 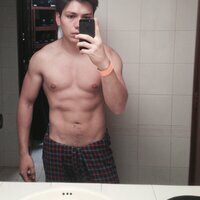 I probably could have gotten decent results at the normal serving but I'm a larger guy and with a lot of supplements that means one extra serving. Contains Corn. Capsule Made From Plant Cellulose. NO Yeast, Wheat, Sugar, Salt, Soy, Dairy, Citrus, Fish Or Preservatives Added. Directions For CONQUEST 250: Take 3 capsules up to two times daily with meals. 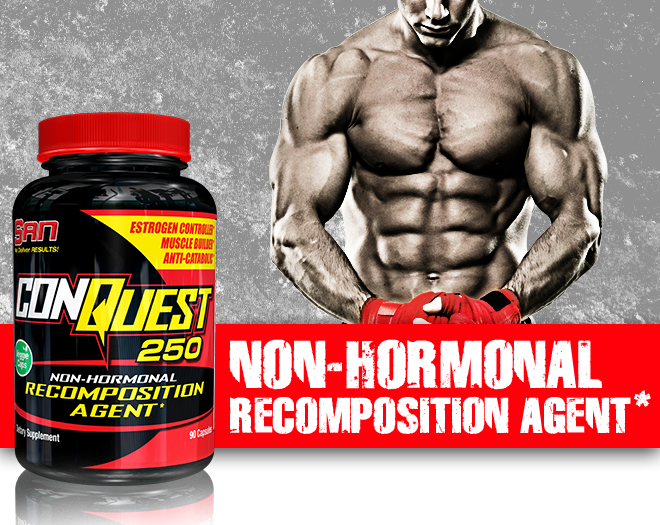 Use CONQUEST 250 in conjuction with a diet and exercise program. This program does not need to be cycled. Learn more about Ursolic Acid.